Tours are welcome! Please schedule in advance for groups of 10 or more. Learn more. Welcome Newest Addition to Czech Village! The Velehrad SPJST building was moved from Velehrad (between Praha and Moravia) to the TCHCC complex in La Grange on Nov. 9. It will be refurbished and maintained by SPJST to represent SPJST's past and the many lodges in the Czech communities. The Koliba Lobby invites visitors in to the TCHCC Main Center building which houses the offices, Hanslik Hall Dining & Meeting Room, the Willie and Mardi Kopecky Gift Shop, KJT Conference Room, the Bill and Betty Melnar Library, where genealogy and historical research can be accomplished, and the Nas Novy Domov (Our New Home) Museum, which displays artifacts and memorabilia that tell the story of early Czech-Texans. Designed by architect Roger Kolar, the Main Center was completed in October 2009. The building has a contemporary glass entrance representing the beacon of light that attracted the settlers to Texas, and also brings to mind the 19th century farm houses, halls, and buildings. At the entrance, paving stones, brick memorials, and the Immigrants Wall honors family and friends. A memorial brick walk leads to the three flags which our Czech ancestors treasured: United States, Czech Republic, and State of Texas. In 1995, the Czech Republic participated in the annual Festival of American Folklife in Washington, D.C. Materials were transported from Roznov, Czech Republic to erect the belfry at the festival site. The bell was cast in Halenkov, Czech Republic especially for this occasion by Josef Tkadlec. The strong friendship between Victor Peter of Houston, a trustee of the Czech Heritage Society of Texas, and Dr. Jaroslav Stika, Director of the Wallachian Open Air Museum in Roznov pod Radhostem, led to the Czech Republic's decision to give the bell and belfry to the heritage society. CHS then donated the belfry to TCHCC, and the belfry was placed on the grounds in 2003. In 2014, the bell was removed from the tower, cleaned, and placed in a showcase in the TCHCC Melnar Library for viewing. A replica bell was then hung in the tower. This house was donated and moved to TCHCC by Donald and Betsy Chovanec in 2008. Frank Hluchanek built the house in the Holman area of Fayette County in 1890. In 1915, he converted the old combination kitchen-dining room into a dining room and added a new kitchen. He sold the house to Anton and Mary Spacek Salas in February of 1940. They updated the kitchen and added a bathroom in the enclosed porch. Restoration of the house was done by the Salas family along with volunteer Carolyn Sumbera Heinsohn. The kitchen and dining room were completely renovated. 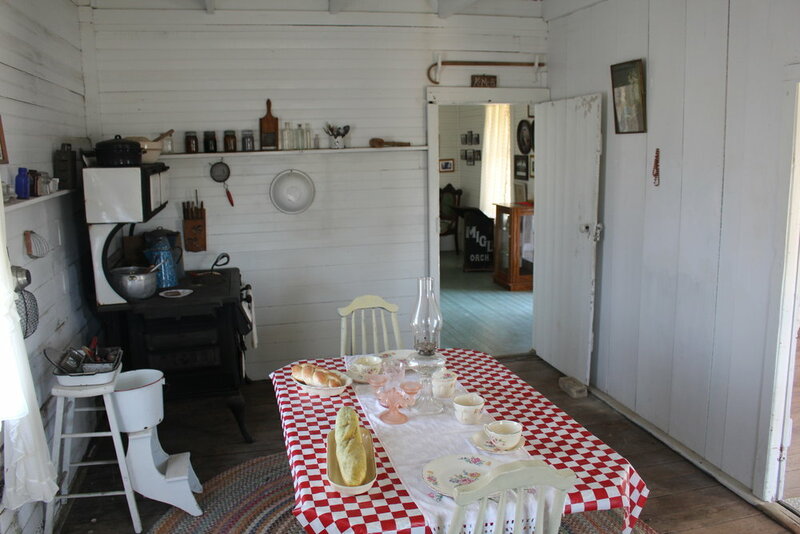 The house was furnished and decorated to reflect the lifestyle of a middle class rural Texas-Czech farm family from 1890-1930s. The Migl house was constructed in 1890 by the family of Frantisek and Johana Migl, with additions made in the 1920s. In 2000 Jim Jasek, one of the Migl descendants, obtained ownership of the house and donated it to TCHCC. The Migl family restored the house and moved it to the current site. The house displays Migl family memorabilia along with authentic furniture and items, and is maintained by the Migl family. This replica of an original early 1900s barn was built in the fall of 2013. Funding was made possible by grants from Rita Huebner Janak, Sanford Schmid, and the City of La Grange Economic Development. The Barn also houses the Texas Czech Agriculture Museum and was dedicated in October 2014. The Janak Barn is an example of the productivity and prosperity for a Texas-Czech farm family. The displays tell about early farming practices and show how the barn was the center of the farm. The Fair Pavilion was first built in 1925 and over the years has served as an integral place for people of La Grange and the surrounding area to meet and enjoy themselves at dances and various types of gatherings. The Fair Pavilion was originally owned by the Fair Association, which subsequently sold the facility to the City of La Grange in 1935. 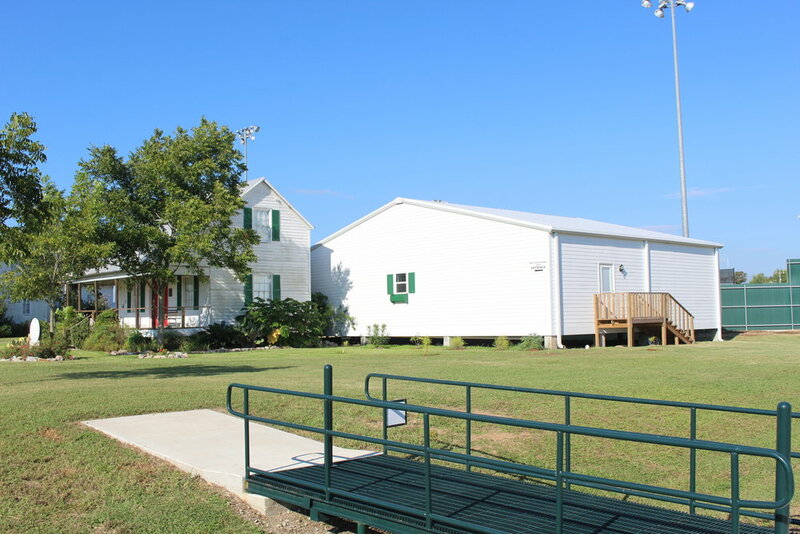 The Round-Up Association, a non-profit organization which raised money to benefit the youth of the La Grange area, was the last to manage the dance pavilion before TCHCC took over management. The facility is available for rent. Development of TCHCC began when the Kalich House, restored by volunteers, became the first TCHCC Visitors’ Center. This historic 1890s Texas-Czech farmhouse was donated by Peggy Kalich of Schulenburg. The house was moved to the site on June 22, 2000 by Kana Brothers, Inc. House Leveling and Moving and then transformed into the Visitors’ Center, which temporarily housed the office, gift shop, library, and display area. Coordinated by Marvin Marek, the restoration efforts took approximately 3,109 hours with some 80 volunteers ranging in age from 2 to 80. Major restoration of the roof and porches was done by Robert Slovak Construction and volunteers from Ennis. It served as the Visitors’ Center until 2009 when the main building was completed. It is now TCHCC’s Czech Music Museum of Texas displaying music memorabilia in four musical genres: Classical Music of Czech Composers, Spiritual/Liturgical Music, Folk Music and Dance, and Polka/Czech Brass Music. The main building was donated by Roy Bucek of Schulenburg and a side room for a general store was added on by volunteers. A tavern/store was the center of early Texas-Czech communities where immigrants would meet, get mail and information of the outside world, have a pivo (beer), and purchase necessary staple goods. The Hoelscher Family immigrated to Texas from Olfen, Germany in 1846. This haus was built in 1880 by Anton and Elizabeth Bruese Hoelscher as a bedroom/parlor addition to their original house. In October 2005, Esther and Henry Hoelscher of Houston made a gift of the Hoelscher Haus to the Polka Lovers Club of Texas Museum (PLCTM), and it was moved to the TCHCC grounds. The haus is of the salt box architecture with a long porch across the front, two rooms on the lower floor for displays, and two rooms upstairs for storage, exhibit preparation, and office space. The mission of the PLCTM is to provide a facility for the preservation of the history of polka music, song, and dance with displays of memorabilia associated with the Polka Lovers Klub of America Texas Chapter. In February 2016, PLCTM officially dedicated the Msgr. Joseph M. Hybner Center, which was built to provide additional space for displays, meetings, and events. The Center was named after Father Hybner of Shiner, polka lover who can often be seen at area church picnics singing along with the Czech bands. Read more about PLCTM. The Hoelscher Haus can be viewed by appointment only. This 1895 De Loach No. 1 Mill was owned and operated by the Vinc B. Zapalač family from the Ellinger area on the Colorado River in Fayette County. Donated by Donna Zapalač Mueller, the mill represents the industrial businesses and entrepreneurship of the Czechs. The restoration project was funded by a grant from the Dickson-Allen Foundation along with various versions of help from others. The mill restoration was completed in 2015, and is a working original maintained by the South Texas Wheel Spinners & Crank Twisters Antique Farm Equipment Club. The display also showcases early life on the Zapalač family farm. The authentic circa 1904 double-log corn crib with dog trot was constructed with hand-hewn logs joined with simple saddle notching. A central passageway allowed for easy loading/unloading of wagons to or from a crib on either side. The Log Crib was donated by Hilda Fajkus and Sylvia Ratcliffe of Cistern. It was moved to the site by Kana Brothers Moving Company and restored by brothers Ed, Ernest, David, and Robert Vasek of Plum, and Robert Stall of Smithville with replacement logs donated by Vickie Matocha and Jeb Pape. Thanks to an initial grant by the LCRA and a matching grant by La Grange resident Sanford Schmid, the amphitheater was built in 2000. The 5,500-square-foot facility is built in a Texas Czech style and includes an open stage, dressing/meeting rooms, restrooms, and prop storage area. Music is very special in the life of Czechs. The Czech saying Muziky, Muziky (Music, Music)adorns the top of the stage. The facility is available for rent and used for musical performances, theatrical plays, presentations, and outdoor weddings.